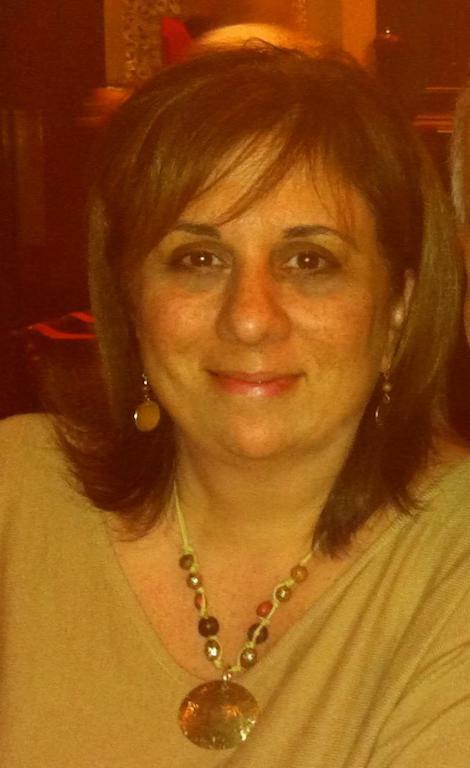 Mary Cay Ricci has worked as an elementary and middle school teacher, instructional specialist and central office administrator. She is the New York Times Best Selling Education author of Mindsets in the Classroom: Building a Growth Mindset Learning Community. Her other books include Nothing You Can’t Do: The Secret Power of Growth Mindsets (for kids 8-13), Ready-to-Use Resources for Mindsets in the Classroom, Mindsets for Parents, and Create a Growth Mindset School (for administrators). In your opinion, how can growth mindset complement mindfulness? 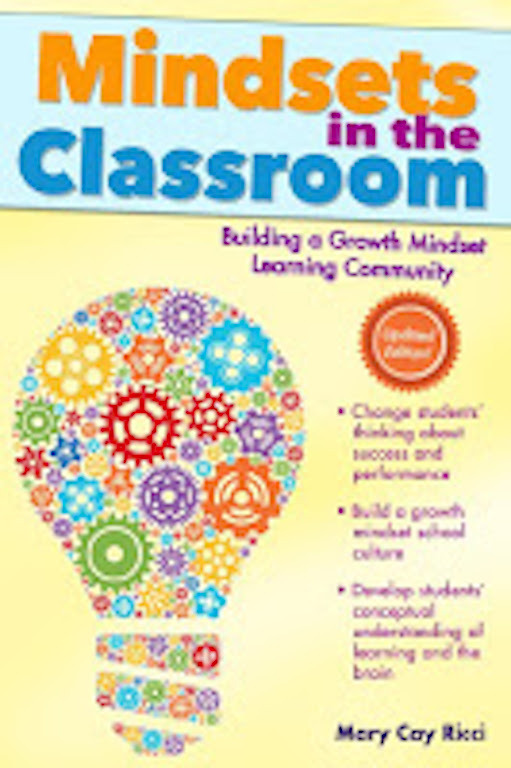 Mindfulness and growth mindset both encompass an awareness of our thinking. One of the most important tenets of growth mindset is the knowledge that we all make mistakes and we can all learn from them. Being at peace with failure and mistakes and small bumps in the road complements mindfulness. I’ve heard of a few situations where well-intentioned teachers misunderstood growth mindset and kept pushing kids beyond the point they could really handle. Do you have any guidelines for when it is or isn’t advisable to challenge kids? It is always good to challenge kids IF they have been given the tools they need to approach the challenge and embrace the struggle. I have found that one of the biggest “missing pieces” when teaching about growth mindset and encouraging kids to embrace difficult tasks, is to help students develop a menu of go-to strategies that they can use when they are stuck or are struggling. And by the way, struggle is not a bad thing. It is how we stretch our brain and contributes to academic resiliency. Kids cannot build academic resiliency if they are underchallenged. So, what are some of those tools that they need? The first is an understanding of growth and fixed mindsets. Kids need to understand that intelligence is malleable, that they can get smarter. when they master that new learning (strong neural connections are made). When students visualize these neural connections, it increases their motivation to continue when they are faced with a difficult lesson or task. Additionally, they need to have a menu of things that they can do when they get stuck. In my children’s book, Nothing You Can’t Do! 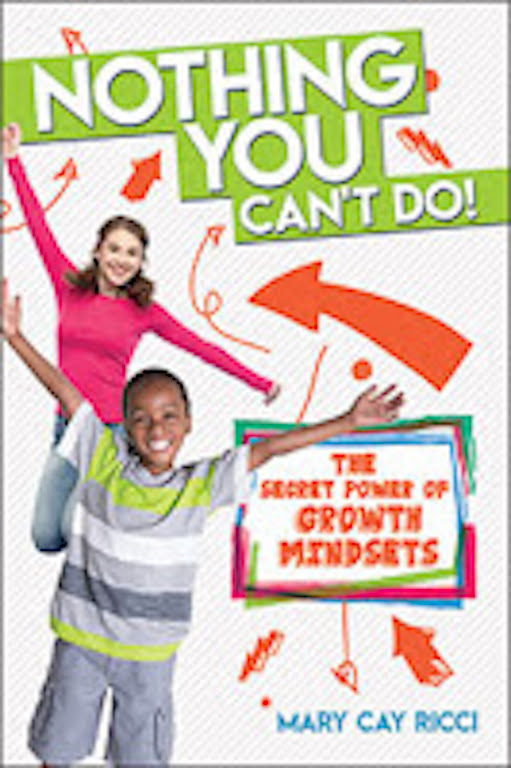 The Secret Power of Growth Mindsets readers (Grades 3-8ish) learn about many things that will help them become more resilient learners in school, on the field and in the arts! Do you have any tips on being more inclusive of traditionally underrepresented students? I contributed to that book several years ago and have really had an awakening of sorts when it comes to identification and service of “gifted” students. There is no national criteria for identifying kids as “gifted”… and yes I do put “ ” around the word “gifted” for this reason. I have worked in the “gifted” office in three large districts and each district had different criteria for identification. Another only used a few subtests of a cognitive assessment and has recently eliminated teacher input. The third would not consider teacher advocacy for students and used a teacher checklist that did not mirror traditionally underserved characteristics of their diverse student population. Yet, each district thought they were using best practices in identification because they had “multiple measures” and/or more than one pathway to identification. Is the goal of identification simply to label children as “gifted” “not gifted” or “rescreen”? Perhaps instead of putting so many resources into identification, the goal should be to nurture and develop potential in the many children who would benefit from enriched and accelerated learning experiences. Can you imagine how many children are being under-challenged due to being excluded from advanced learning experiences because of arbitrary criteria and cut-off scores? Unfortunately, many of these children who are under-challenged are from historically underserved groups of students including those who are black, Hispanic, English Language Learners, students who live in poverty and special needs students. My recommendations focus on removing barriers for underserved students. One of these barriers may be traditional GT (gifted and talented) identification processes. Instead, we must not only consider student motivation, perseverance and academic resiliency when making instructional decisions... but also deliberately cultivate these in all children. Develop the potential and talents of students and open the door for them… You will be amazed to see what they can do! To me “mindful teaching” means to be empathetic and compassionate educators who are tuned into the needs of the students and teaching students how to be self-aware and tuned into their own thoughts and needs. What do you do in your own personal mindfulness practice? Kindness, honesty, empathy, optimism and self-reflection are extremely important to me. When I find myself teetering, I become very aware of my thoughts and actions. When I falter, I reflect and move forward knowing that I will approach things differently the next time. Time alone to relax and reflect is also important to me.